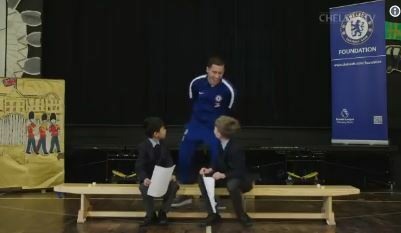 Eden Hazard has been annoying Chelsea fans with some of his hints about a new contract, but the kindness he showed in this latest community outreach project by the Blues can’t be ignored. The Belgian went to visit a school and surprise the kids, even bringing one little girl to tears with the excitement. We think we’d probably feel the same way if we ever met the great man.